This Payment Gateway is suitable only for subscribers in India as it only accepts payments in Indian Rupees. Currently it supports only for PPV subscription. Type the “Access Token” and “Secret Key” (Which you have received after you signed up with instafeez in the corresponding fields. 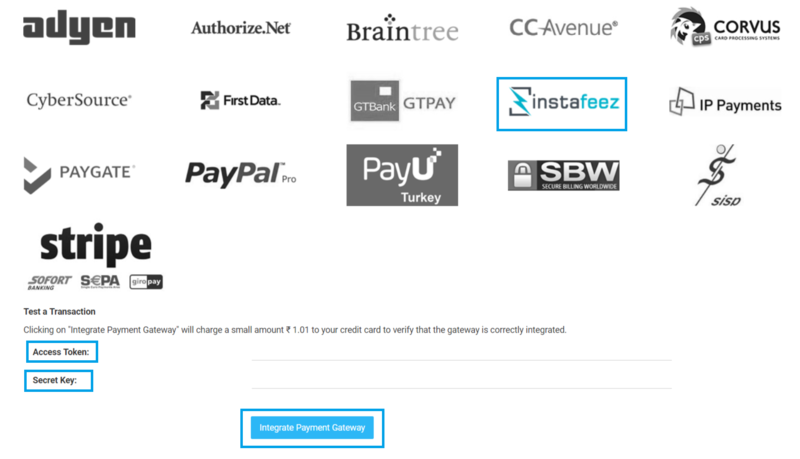 Clicking on "Integrate Payment Gateway" will charge a small amount Rs. 01 to your credit card to verify that the gateway is correctly integrated. It supports only one-time payment methods including PPV, PPV Bundle and Pre-Order. It only supports INR in currency.